Shelves – 30 x 30 cm, 3 pieces, 2 cm thick, specially selected, structured solid oak wood. It has various shades, dark knots and bright lines running along and across the surface. 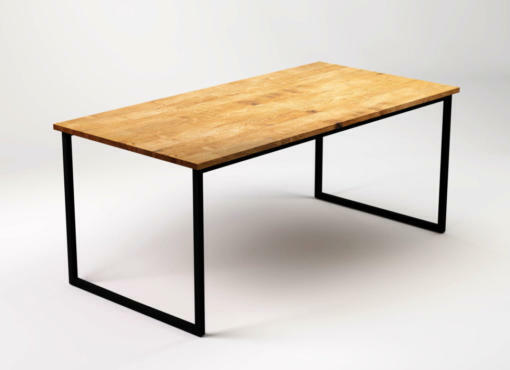 Each product is made to order and therefore, depending on the batch of wood, it also has its own unique features, colour and wood grain. 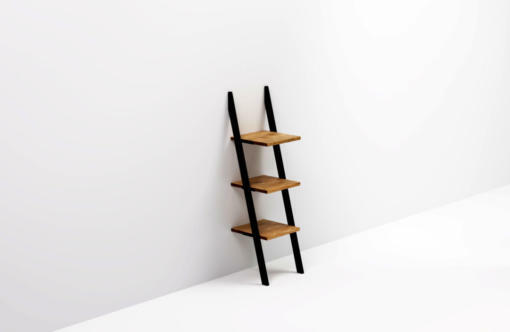 Ladder bookshelf NANI BLACK is a simple and modern piece of furniture consisting of three levels and a steel frame. The three shelves are made of solid oak. Each has a unique wood grain and knots. The frame is made of high quality steel, powder coated black. It has the form of a 120 cm tall ladder that leans against the wall. The legs are set obliquely, giving the furniture an interesting, dynamic form and industrial character. 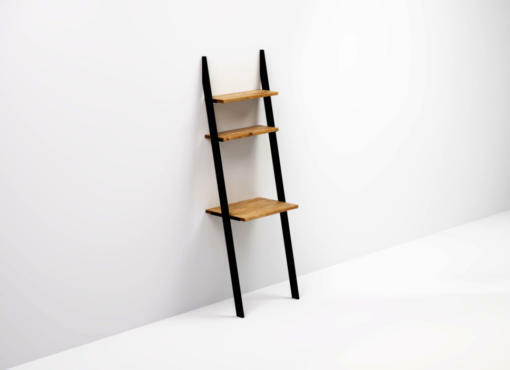 The ladder bookcase is very easy to set up. The product does not require mounting on walls or floors. It simply leans against the wall. NANI BLACK can be part of the home – living room, kitchen, bathroom, bedroom and office furniture, as well as shelf exhibition in the boutique. Simple form and beautiful details. 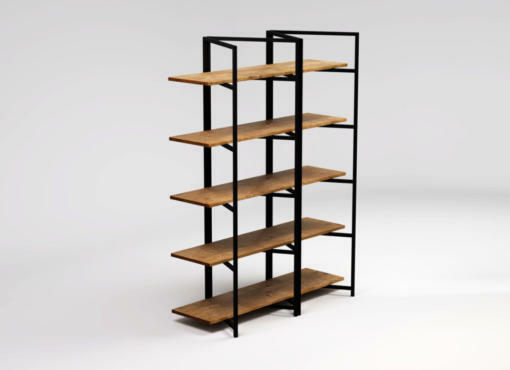 There’re also different version of the bookshelf available: in different colours and with five shelves. 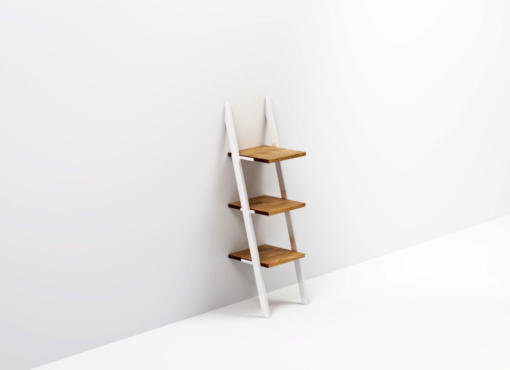 Learn more about ladder bookshelves from the SIMPLE collection.